Seoul (Korea). 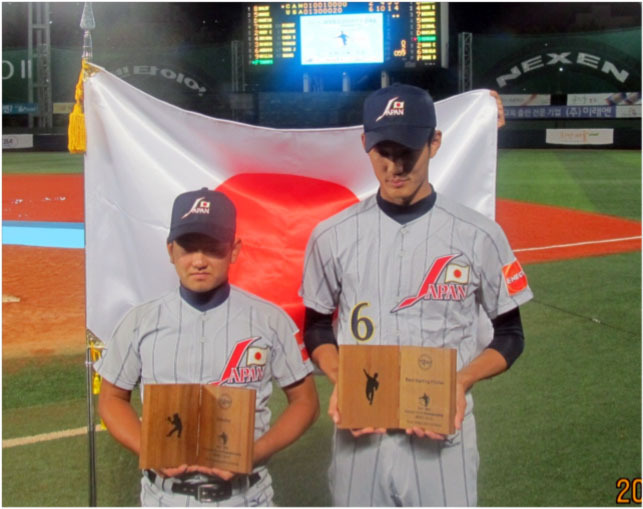 The United States have won the XXV IBAF 18U Baseball World Championship for the first time since 1999, when they beat host Chinese Taipei in the finals. At Mokdong Stadium on Saturday evening in Seoul, Korea they downed Canada 6-2 in the Gold Medal Game. Led by a combined four RBI of Jeremy Martinez and Reese McGuire Team USA decided the showdown against their neighbors from the north. Earlier on the day Korea defeated Japan 3-0 behind strong pitching of Geon Wook Lee and a homerun of Dae Young Yoon to finish in fifth place. Chinese Taipei won the Bronze Medal Game against Colombia by a score of 4-1 thanks to Jen Ho Tseng and his 12 strikeouts in a complete game.